We’d love your help. 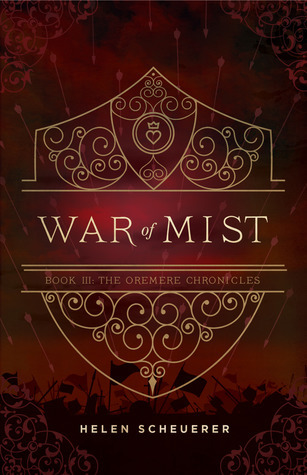 Let us know what’s wrong with this preview of War of Mist by Helen Scheuerer. Bleak, having discovered her true heritage, must now scour the lands for the one thing that might save them all. Amidst secrets, lies and the i War is here. Amidst secrets, lies and the intricacies of battle, Bleak and her companions learn just how far they’ll go for the ones they love. But will it be enough? As deadly forces grapple for power across the continents; families, friends and allies unite to take one final stand. To ask other readers questions about War of Mist, please sign up. I am so ridiculously excited for this! ANDDDDD the release date? My Birthday!